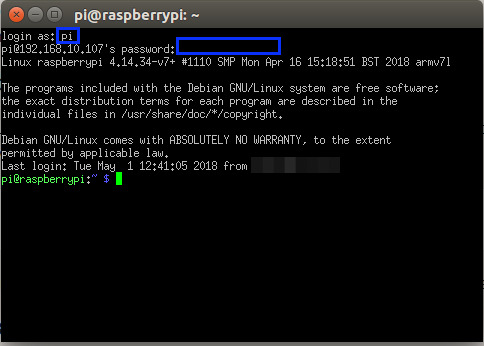 Launch PuTTY and input the IP address of your Pi, leaving other fields as default (port 22). 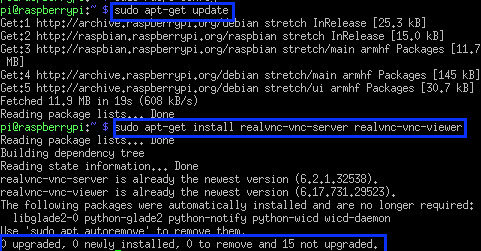 If you already have the latest VNC, the terminal will indicate so. Note: you may use another resolution but this one should work well. 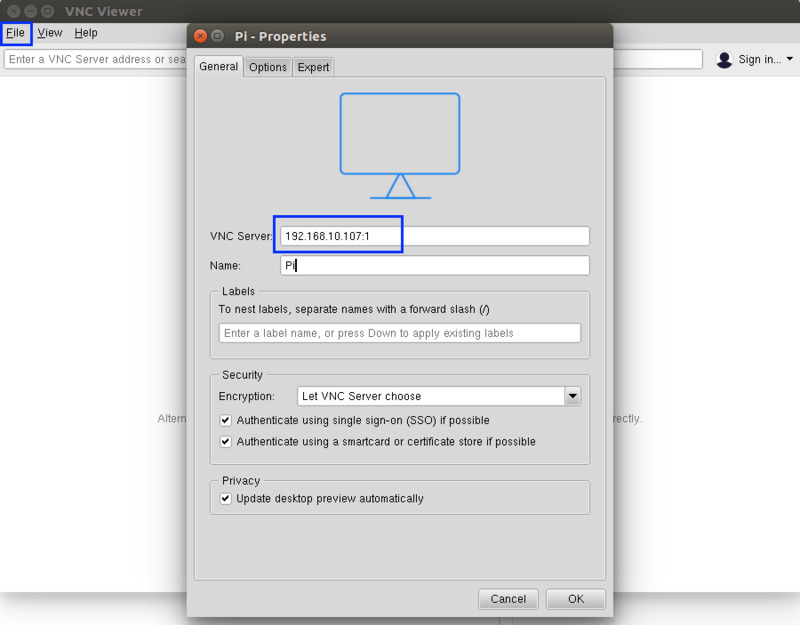 Without specified resolution, the Pi screen may not fit correctly within the VNC viewer. If successful, then you will see a "New desktop" created with a specified IP address + VNC port. On the controlling computer, launch VNC viewer. 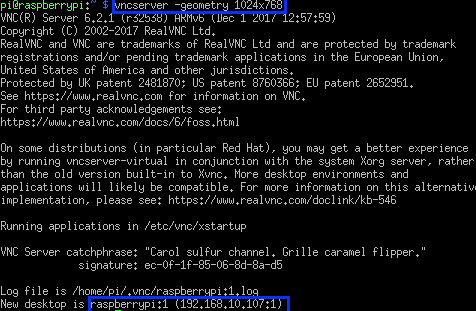 Go to File -> New Connection, input the newly created IP address + VNC port and give a name for the VNC connection. Right-click on the newly created connection icon and click Connect. Input username and password as you did to connect with PuTTY. 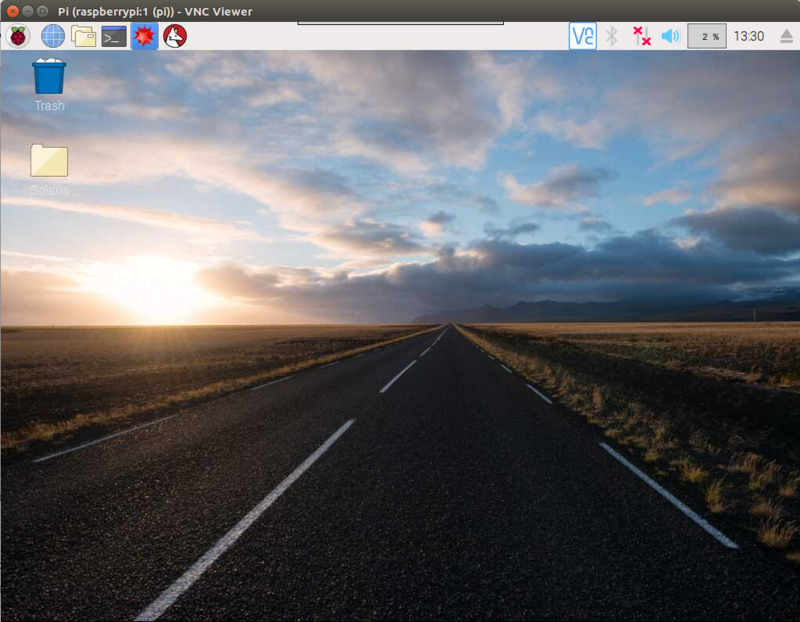 You should now see the Pi desktop and be able to control your Pi remotely. You can now follow the usual steps for Staking: download solaris-Qt for Raspberry Pi, launch + sync the wallet and create a receiving address to send coins to.